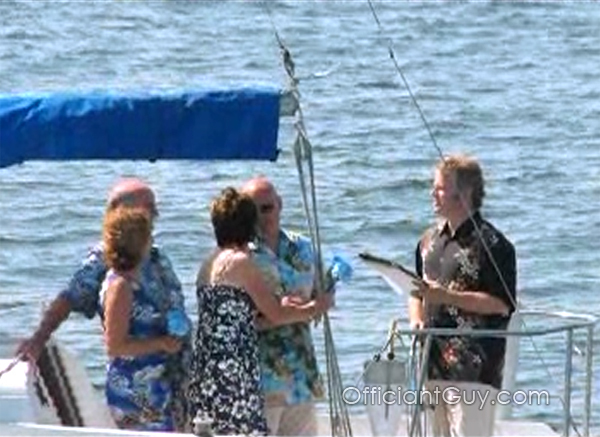 We perform Hawaiian Wedding Theme ceremonies, interestingly, here in California. We even have Hawaiian shirts ready to wear upon request. Chris has performed many Hawaiian theme weddings, being a wedding officiant, and since the climate and the laid-back attitude seem to be very similar in California, why not? We have officiated at different types of Hawaiian weddings, from the more traditional with tea leaves to the more loosely, individualized weddings with a Hawaii flair. However, Chris recommends that couples use artificial tea leaves as the real ones leave a sticky residue on your clothes – not so great for your reception. Some Hawaiian theme wedding ceremonies are just wearing Hawaiian shirts, some are with tropical drinks, some are with tea leaves, and some are with actual Hawaiian natives who refer to their heritage. Either way you want to do a Hawaiian wedding is up to you. As long as we’re not expected to perform in a hula skirt, we love performing Hawaiian weddings. In fact, Chris owns a shirt perfect for the occasion. And don’t forget! He can also issue you a California marriage license anywhere in Southern California. 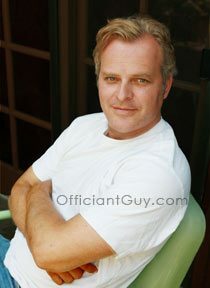 Officiant Guy is an LA County nondenominational wedding officiant. 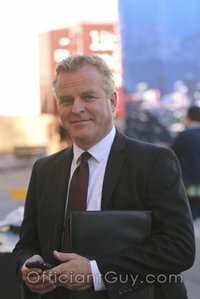 He has been performing weddings and delivering California confidential marriage licenses for over 20 years. If you are getting married throughout LA County or Orange County give the best wedding minister in LA County a phone call at (310) 882-5039 or (562) 547-3255 or fill out the contact form.